rich history, You can never go wrong with a visit to Haydee's Restaurant. call in advance to make reservations. Washington D.C. is our nation's capital. of Maryland and Pennsylvania on a tour of the town and battlefield of Gettysburg. Academy and tons of Colonial history Washington DC - home of the Prez and the seat of power! session and then rent. Visit our rentals page for more details. close. It's great for kids and adults of all ages. Maryland for all your party bus needs. great deals on KegBus services. Guided tours on the Heritage Trial. The DC Circulator red bus has a stop at Irving & Mt. 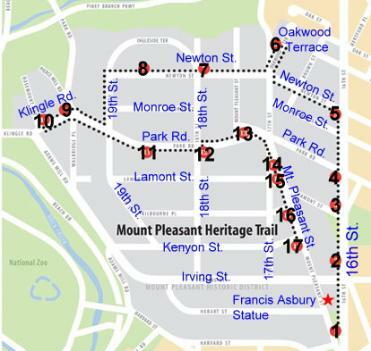 Local Mount Pleasant Neighborhood Businesses links to; Sales, services, products, and associates. For a good choice of hotels with discount prices, visit Where to stay in Washington DC for more information.